A day of fun and prizes are always on par for our annual fundraiser on the green! Get involved as a performer, volunteer or make a donation! Together we raised $77,677 in 2018! An interactive natural playspace full of fun for all! “Project Build-A-Fort” is the name of the Child Development Centre's building expansion/renovation project. Interested in having your child attend the CDC? Download or complete our online referral application form. 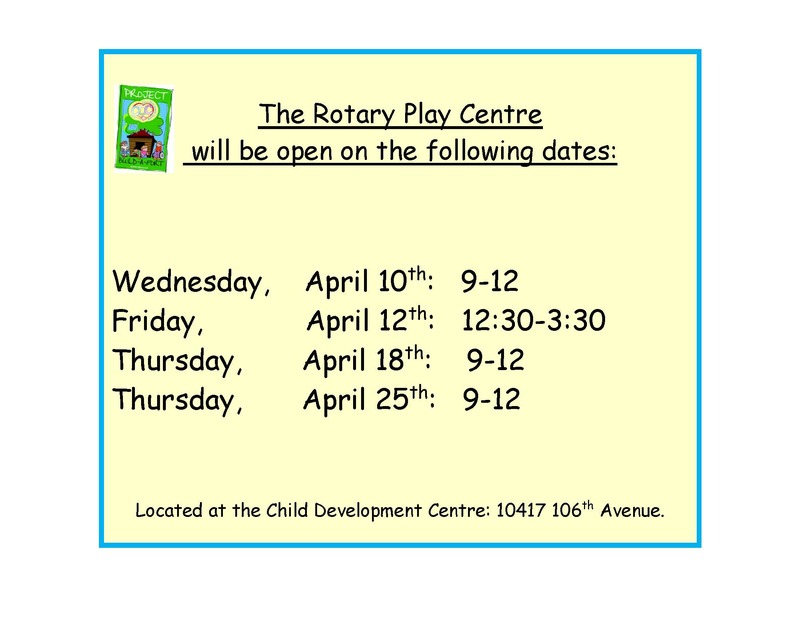 Help the Child Development Centre continue to provide the best services for children in the North Peace. 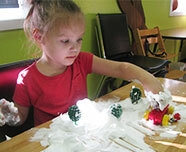 The CDC's ongoing expansion project is all about a child's imagination and the joy of discovery. We are currently developing a nature inspired playground concept. Welcome to the Child Development Centre! 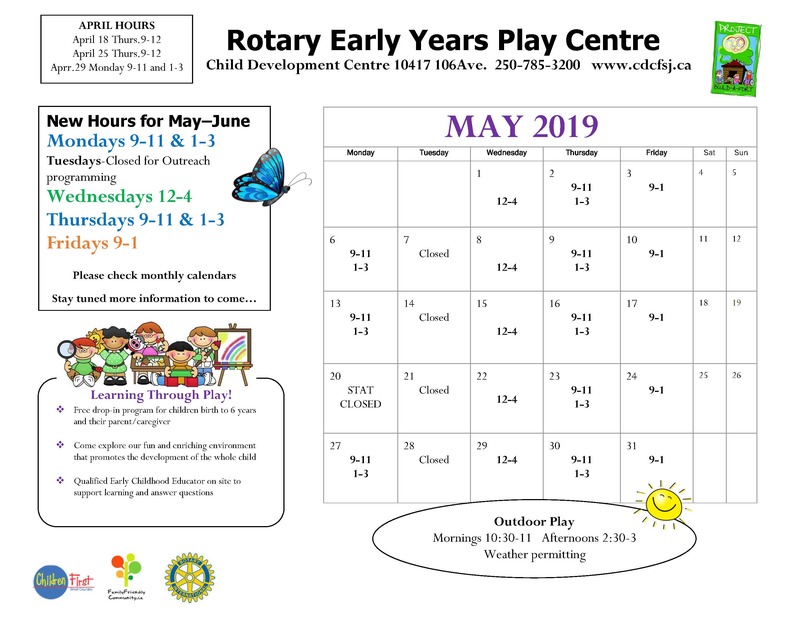 The Fort St. John Child Development Centre (CDC) is a non-profit organization that has been supporting children with special needs and their families in Fort St. John and surrounding areas since 1973. Our services and programs specialize in the area of Early Intervention Early Learning, Autism, as well as provide Skills and Respite programming, Supported Child Development, Family Support services. 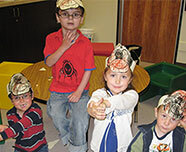 The CDC also provides a fully integrated preschool program for children with typical and special needs. 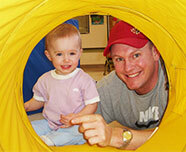 The Occupational Therapist works with the family to develop a plan to help their children ages 0-5 reach their goals. School District #60 website with schedules and information regarding the Roots of Empathy, Ready Set Learn, Preschool, and Welcome to Kindergarten. Is a collaboration between several community agencies for the purpose of making our region the best place possible to raise young children. The site has a helpful parent directory and events calendar. 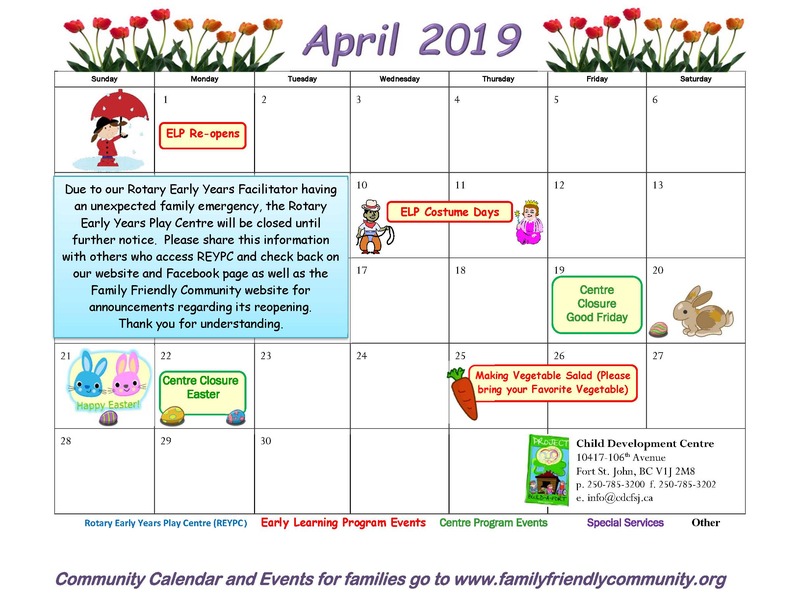 Click here to view the April 2019 CDC Calendar! Click here to view the 2019 March Calendar. 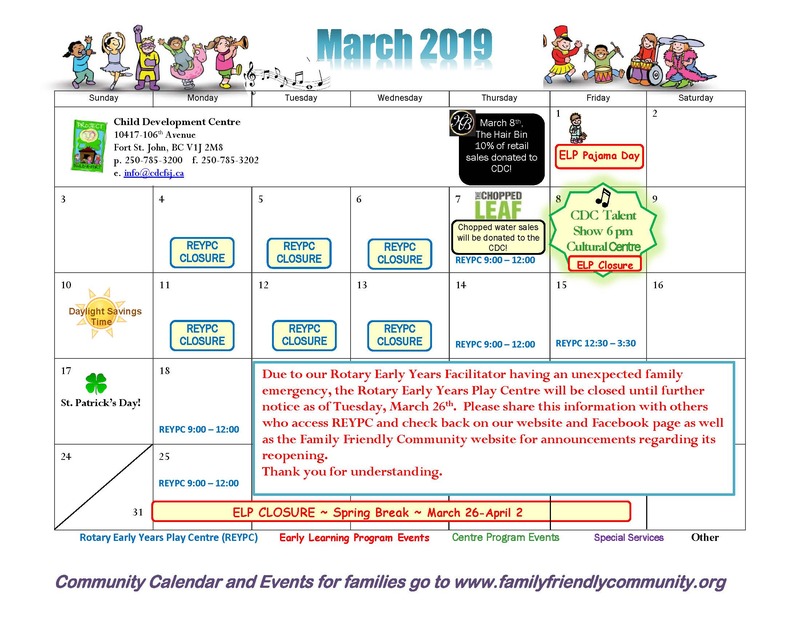 to view the 2019 March Calendar.